We were super excited to get our hands on Mario Maker the latest cool new game from Nintendo, Mario Maker gives you the gamer a chance to create your very own game creating the most awesome levels that you have always dreamed of playing, you also get the opportunity to play the level you create as well as playing levels created from other Mario Maker players from around the world. Creating you levels is very easy with the Wii U GamePad controller, simply use the touch screen to add blocks, pipes and collectibles rewards, choose from the array of add on options to create your game. 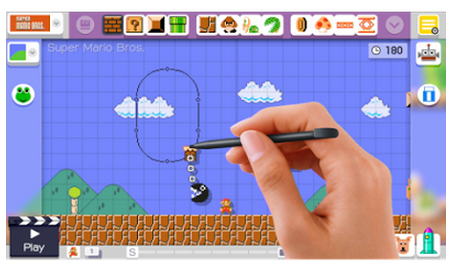 Mario Maker gives you the chance to be the game designer and play the game level you create how awesome is that. We are only just beginning our Mario Maker adventure, and we already we are loving it, its great fun and really easy to create the levels, which give us full control on how we want to play the game. I'm sure we will have endless hours of fun with Mario Maker. Check out the cool trailer which will give you an insight on just what you can expect. Switching between four awesome themes, each with different art styles and features: Super Mario Bros., Super Mario Bros. 3, Super Mario World, and New Super Mario Bros. U.
Transform into cool characters with the new Mystery Mushroom item. Expand the roster of possible characters by completing 100 Mario Challenge mode or tapping compatible amiibo simply by using a 30th Anniversary Mario amiibo figure to the Wii U GamePad controller to add a Big Mushroom power-up to your course. 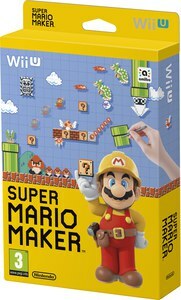 Mario Maker is only £39.99 from Nintendo Store and all good gaming outlets.